I have that great girlfriend who is my complete opposite, but when we get together, we laugh, tell each other our deepest secrets over a glass of wine, and are more honest with each other than anyone else. You know – THAT person in your life. Tonight I was with my bestie at a new Saint Paul restaurant called Seventh Street Social. She did happy hour food – shrimp tacos and onion rings, which looked to be deep fried in a salt and pepper batter. Yum. 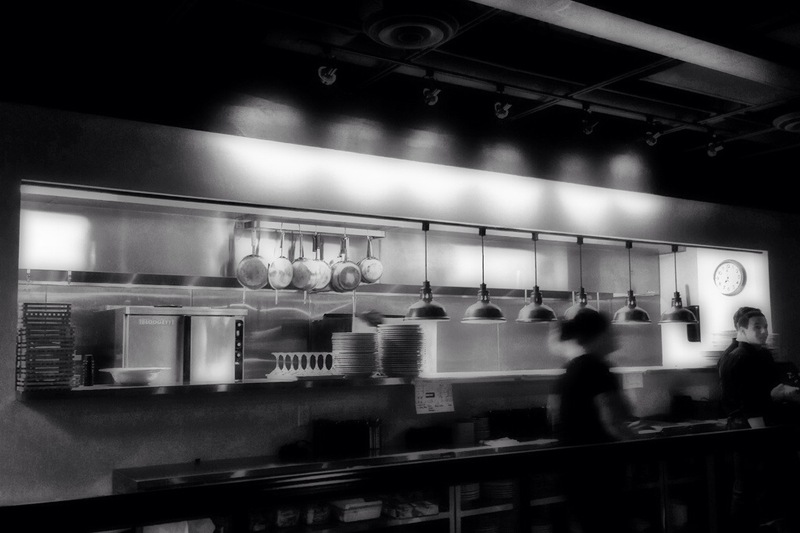 The kitchen of Seventh Street Social is day 287 of Photo 365.